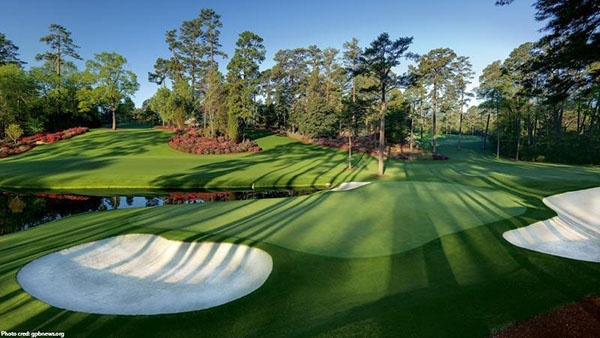 The 2018 Masters is shaping up as one of the most exciting editions in years in the battle for the green jacket because of so quality competitors – arguably the best in more than 10 years. There’s Tiger Woods. There’s Phil Mickelson. There’s Rory McIlroy. There’s Dustin Johnson. There’s Justin Thomas. There’s Jordan Spieth. There’s the old guard (count Tiger, Phil and Sergio Garcia in that category) vs. the new guard (Jordan, Dustin, Justin, Rory, Hideki Matsuyama and Jon Rahm). There’s also the middle guard (Jason Day, Rickie Fowler, Justin Rose and Bubba Watson, for example). There’s the U.S. vs. the rest. There’s Titleist against all the other golf ball manufacturers (Bridgestone, Srixon, TaylorMade, Callaway). There’s the clenched fists (Tiger, Phil) vs. the chest pounding (Ian Poulter). And there’s the ones seeking to wear the jacket for the first time vs. the ones who have already won it, some of whom are past their best-before shelf life but are still given an exemption into the tournament. Collectively, it’s what makes this year’s event so unique and hard to handicap. Every year I’m in a pool with friends in which we pick a team of four players and pay $20 for the entry. Because there are usually some clear-cut favorites, some are deleted. But there are no clear-cut favorites this year, so you can pick Tiger, Rory, Dustin and Justin. Or you pick two obvious ones and two long shots, Day and Bubba, for example. Bubba winning it three times would be so sweet. Or you take a huge long shot such as Matt Kucher with three favorites. You can add Paul Casey to the list. There are just so many possible choices and so many story lines. Kucher fits into the category of the best active golfer yet to win a Major. Dustin had been the consensus choice to win last year, only to fall down some steps in the house he was renting the night before the opening round and have to bow out. He would make for a great story a year later. So would Day. If there is a golfer I’d really like to see win, it would be Day. To see him win it for the first time after such a heart-breaking season last year would be epic. I think I’m going to go with some obvious choices in my bracket – Thomas and Rory and pick two long shots – Casey and Day. Or maybe I throw Bubba in the mix and delete either Casey or Day. If Tiger wins, it will be huge, one of the greatest comebacks in sports history. He knows the course, having won it four times and is close to the form he displayed back in his 20s. Suffice to say if he wins, the surgery and rehabbing he used to come back will be part of medical science. Along with the fact he is now coaching himself. Enjoy this year’s tournament. I can’t wait. My pick to win? Rory McIlroy.